The Palau 100 season presents these top names on the international scene with a broad repertoire ranging from baroque to the most contemporary music: from Bach and Händel to Einstein on the Beach by Philip Glass. Great musicians have been invited to perform their most renowned repertoires. Thus, among other things, we will be offering the finest Cenerentola with Cecilia Bartoli, the great Russian repertoire conducted by Valery Gergiev and Yuri Temirkanov, the most authentic Händel with Sir John Eliot Gardiner and the Akademie für Alte Musik Berlin (AKAMUS) and the most meticulous Mahler with Jonathan Nott. The season will also be spotlighting a new generation of musicians, like the pianists Trifonov and Abduraimov, and Thomas Hengelbrock, returning to the Palau after his historic Mass in B minor. Other highlights include work with the house choirs by certain conductors and ensembles: including the Cor de Cambra with Daniel Hope or the Orfeó Català with Gergiev. 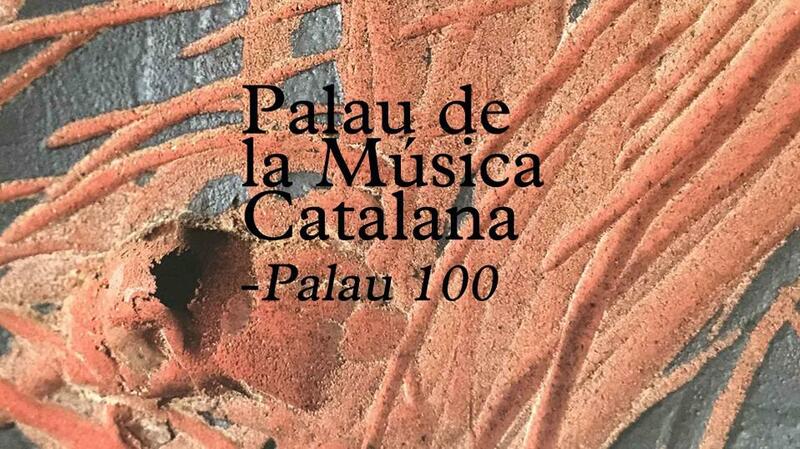 Today saw the launch of the 2018-19 season of Palau 100, the flagship series of the Fundació Orfeó Català-Palau de la Música Catalana. Palau 100 is an encounter with excellence, featuring the leading conductors, ensembles and soloists, making every concert a unique, exceptional event. A place for music lovers in the presence of top figures on the international classical scene, but also a place to discover works, composers and performers. This year the series presents fifteen concerts, thirteen as part of the season ticket programme and two special ones, with one new feature: the concerts are all brought forward to begin at 8pm, making travel easier and in line with the timetables of the great concert auditoria of Europe. 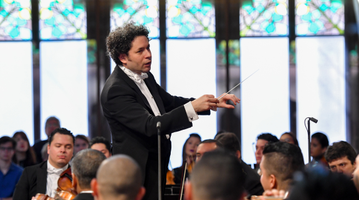 The renowned Venezuelan conductor Gustavo Dudamel, a Palau favourite, is to open the season with two concerts on consecutive days (18th and 19th September) with the Mahler Chamber Orchestra. The first programme will include the Fifth and Fourth Symphonies, by Schubert and Brahms respectively, while the second will see performances of the Third and Fourth Symphonies by Schubert and Mahler respectively, to open the season. These concerts form part of the Venezuelan conductor's European tour with the ensemble, and are to be broadcast live by MediciTV. 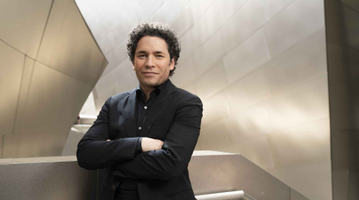 And Dudamel will also be bringing the season to a brilliant close, this time with the Munich Philharmonic (27/06/2019), considered one of the finest in the world, performing Mahler's Second Symphony, known as the “Resurrection”, again working with the Orfeó Català and the Cor de Cambra of the Palau. 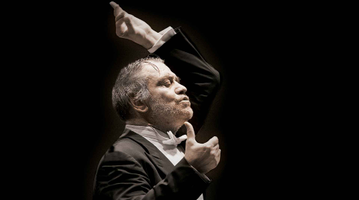 This is a unique chance to see this acclaimed conductor in the city of Barcelona giving three performances in this Art Nouveau auditorium, showing his close link with the Palau de la Música Catalana. The excellence of the finest performers playing their best repertoires. Palau 100 once again offers excellence in the presence of top performers playing their best repertoires. Thus we have the mezzosoprano Cecilia Bartoli (25/10/2018), performing Angelina, the heroine of the opera La Cenerentola, her most highly-rated role. Bartoli, Les Musiciens du Prince and the vocal soloists Edgardo Rocha (Don Ramiro), Alessandro Corbelli (Dandini) and Carlos Chausson (Don Magnifico), conducted by Gianluca Capunao, will be performing this opera by Rossini in full. 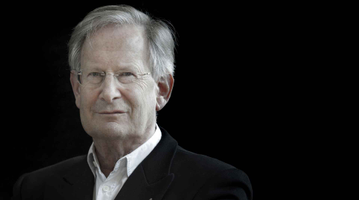 In April Sir John Eliot Gardiner and his ensembles Monteverdi Choir and English Baroque Soloists (24/04/2019), will be performing Händel's Semele at the Palau for the first time, a work somewhere between an oratorio and an opera which Gardiner presented on a smaller scale at the Aix-en-Provence festival in the eighties. The concert features costumes and a stage design based on light. Palau 100 is also to offer the great Russian repertoire of two specialists: Valery Gergiev and Yuri Temirkanov. 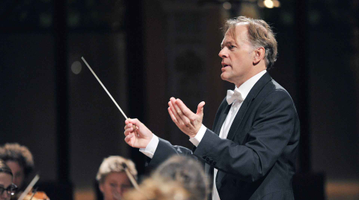 First the Mariinski Theatre Orchestra conducted by Gergiev is to visit the Palau (12/03/2019) with a programme that includes Prokofiev's Aleksandr Nevski cantata with the Cor de Cambra of the Palau and the Orfeó Català, and Rachmaninov's 3rd Piano Concerto with Daniil Trifonov, a genius of the piano who made a stunning debut at the Palau in 2014 and is making a brilliant career as a soloist and alongside leading ensembles. 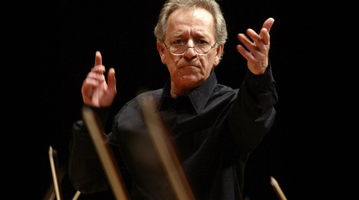 The Russian presence then continues with the return of the St. Petersburg Symphony Orchestra, conducted by Temirkanov (09/05/2019), following a resounding success at the Palau in 2017 with the violinist Leticia Moreno. With the pianist Behzod Abduraimov, considered one of the most outstanding pianists of his generation, as guest soloist, the programme will be devoted to Tchaikovski, whose 1st Piano Concerto and 5th Symphony will be performed. In March Jonathan Nott comes to the Palau (14/03/2019); meticulous in detail, the conductor will be presenting a "winning" Mahler, if the popularity of his recent recordings of this composer are anything to go by. On this occasion Nott will be directing Mahler's Third Symphony with the Gustav Mahler Jugendorchester, the Cor de Noies and the Cor Infantil of the Orfeó Català, in this conductor's first work with the Orfeó choirs. 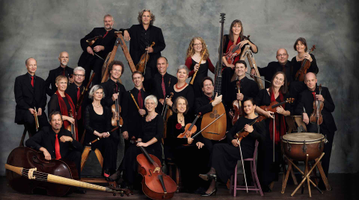 On a related note, another highlight will be the performance by the Akademie für Alte Musik Berlin (23/05/2019), one of the most prestigious early chamber music orchestras and the winner of numerous awards for its recordings; the ensemble will offer a programme based on music inspired by water, with Händel's Water Music as its centrepiece. The concert will also include Telemann's Wassermusik overture, Delalande's Les Fontaines de Versailles suite and Marais' Tempête from the opera Alcione. In the field of song, a major event is the return to the Palau after fifteen years of the soprano Renée Fleming (05/02/2019). 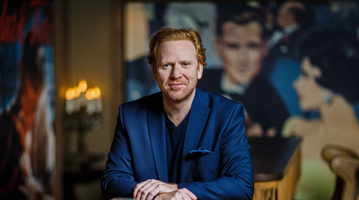 Having retired from the operatic stage (her last performance at the Gran Teatre del Liceu was in 2007), Fleming will be giving a recital of arias by Brahms and Schubert, accompanied by the pianist Harmut Höll. Another major figure who will be appearing in the Art Nouveau auditorium is the pianist Murray Perahia (08/11/2018), who last came to the Palau in 2015, when he was a success with both audience and critics, and whose repertoire ranges from Bach to the central European romantics. Alongside these undisputed greats, Palau 100 also spotlights other performers who even now are writing the history of classical music. This is the case of Thomas Hengelbrock, who with his Balthasar Neumann Chor und Ensemblewill be performing a classic, Mozart's Requiem (28/01/2019). Helgelbrock will be returning to the Palau after his memorable rendition of Bach's Mass in B Minor, which he conducted in December 2014. The programme will also include the Missa Non Sine Quare by Johann Caspar von Kerll, shining a light on a little-known 18th-century composer. As well as the great classical repertoire, Palau 100 also represents a chance to broaden our musical range by presenting less commonly-performed pieces. 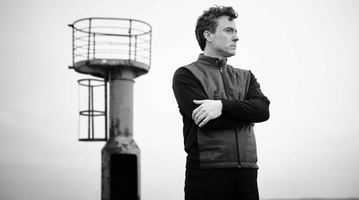 This year's season has opted for the concert version of the minimalist opera Einstein on the Beach by Philip Glass (04/06/2019), an iconic work of the last quarter of the 20th century which came to Barcelona nearly thirty years ago (1991-92 season) at the Gran Teatre del Liceu. A chance for music lovers to come back to this new repertoire in a production lasting three and a half hours without interludes, during which the audience can leave and return to the auditorium freely, something intended in this creation. 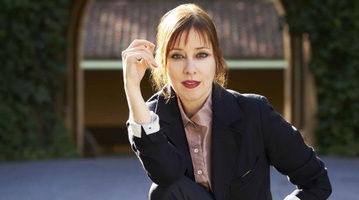 The work will be performed with appropriate lighting and movement on stage, by Collegium Vocale Gent, the Ictus Ensemble, a leading contemporary music ensemble, and the singer Suzanne Vega, conducted by George-Elie Octors. 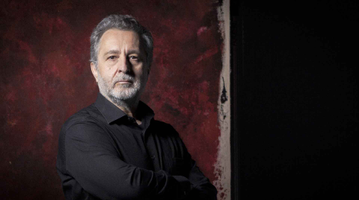 For its part, the Orquestra del Gran Teatre del Liceu (19/03/2019) with its director, Josep Pons, will give a programme centering on the atmosphere of Paris in 1913, performing Stravinsky's Rite of Spring and Manuel de Falla's El Amor Brujo. The concert will also feature the premiere of Imatges d’un Món Efímer by Josep Maria Guix, a new approach to contemporary music in the series. 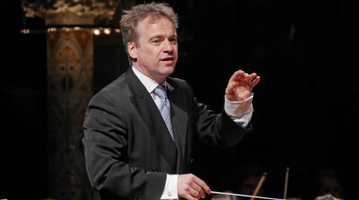 As well as the above-mentioned appearances with the house choirs by Gustavo Dudamel, Valery Gergiev and Jonathan Nott, the series includes a performance by the Cor de Cambra of the Palau de la Música Catalana conducted by Daniel Hope for the first time with the Händel's oratorio The Messiah (13/12/2018), together with the Zurich Chamber Orchestra and four top-class vocal soloists, the soprano Martina Janková, the countertenor Tim Mead, the tenor Mauro Peter and the bass Konstantin Wolff. So, four concerts featuring the house ensembles, plus three appearances by top-flight choirs like the Monteverdi Choir, the Collegium Vocale Gent or the Balthasar Neumann Chor, give a total of seven concerts featuring choral ensembles in the series. From Tuesday 13th February, Palau 100 season ticket holders can renew their season tickets, as well as purchasing additional tickets. New season ticket holders can also make their pre-bookings for season tickets from the same day. 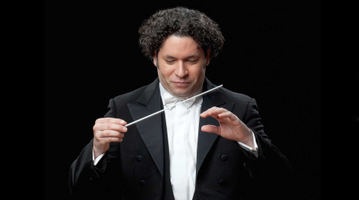 The series offers the standard Palau 100 season ticket for 13 concerts and the Palau 100+ season ticket for 15 concerts (this includes the special concerts, Gustavo Dudamel on 19th September and Einstein on the Beach on 27th May). Those aged under 35 can purchase the Abonament Jove (Youth Season Ticket) at a 40% discount. Individual tickets for these concerts will go on sale from 23rd April.